Thick and muggy, hot and humid, the sweltering summer sun beats down on your lazy day. Yes, you lay sprawled on your sweaty couch, pleading with your open windows to blow a breeze across the room. Instead, the dusty air hangs heavy and every breath you take feels like sucking wind from a bathroom hand dryer. It’s burning, it’s suffocating, it’s too hot to handle. But guess what: there is a solution. That’s right, Drippy Drew, just toss a Coke in the freezer, let it chill right up, and enjoy a superfrosty slurp when it comes out. That’s right, if you time it right, then when you yank the can out of the freezer it should immediately get wet with slippery cold condensation. Then it chills your hand and cools you right down, too. And hey, if you’re feeling bold at this point, feel free to treat it like an ice pack and rub it all over your forehead and neck for good measure. And then, when you’re ready, pull back that tab and listen for that sweet sound of cool relief. As you take that first freezing cold sip be sure to notice the tiny little ice crystals swimming in the sea of cola, melting like frozen pebbles from heaven in your disgustingly humid mouth. Yes, for those who reach this level of Carbonated Nirvana, there is really only one thing to say: you have truly lived. With your T-shirt sweatglued to your back and and your sticky hair matted to your forehead, those freeze-crystals just swim around your mouth and slap your senses. Suddenly you’re enjoying a sugar high, feeling those fizzy vibes, and enjoying that crystal cool sensation of ice bits melting all over the place inside of your face. Geezus. Get me a babysitter I need to get out and get me some coke right now! I don’t even like Coke but you had me salivating. It’s true…sooo true! And we hit a snag. Sorry Neil, but I don’t like anything solid in my soda, even if it’s tiny ice crystals. 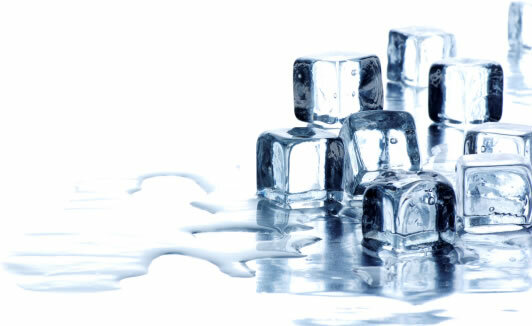 I don’t even like ice in my drink! Not even a giant scoop of melting vanilla ice cream? Just don’t leave it in that freezer too long.. I have had many a coke explode in there… Ooops! The best is when you take it out just before it explodes and you get this fat, dented can of slush. Time for some good spoon-eatin! lola, you are so wise. now i want the weather to heat up…..bring on a frozen coke day! The A&W rootbeer is EXACTLY what came to my mind as well! So great. Perfect timing. It’s high of 89 today with 80% humidity. I have never put a Coke in the freezer… but I definitely will now! That sounds amazing!! An ice cold Coke in a glass bottle. Where have all the glass bottles gone? Agree that the glass bottles are awesome. Here in San Diego, we actually see them quite a bit as they all come imported from Mexico, complete with REAL sugar, and not just high fructose corn syrup. 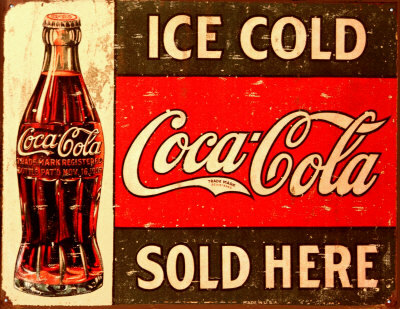 Its a great cold treat on a hot day, when you can hear the clinking of the glass coke bottles. Sweet! Coke in general is simply awesome. This about the only way I like ice in my soda, though. A&W mmmmm! Ice cubes are banned. I respect that. And they get the crystals everytime. Wow. Yeah, it’s like who needs ice cubes when you’re guaranteed a pile of swimming crystals on the top of your frosty mug of joy? Oh my! Ahhh!! Don’t get me started on RB! OH!!! Oh wow, I haven’t had a cold soda in a frozen mug in years, but you are so right! Thanks for the memory! Admit it, Neil: This is a blatant product placement. How much did Coca Cola pay you to make me crave an ice-cold can of their sweet, crisp-tasting, delicious cola? They didn’t pay me a thing. By the way, readers, I sure could go for an ice-cold swig of that good old-fashioned Coca-Cola right about now. Mmm mmm, now that is some goooooood drinking. Whats better than that is when you have the very first sip and you can feel the coolness flow straight down your food pipe (or esophagus for those “educated” people). It’s 40º outside and I’ve never wanted a frosty beverage more in my life. What’s up, I just started reading your blog – thank you for writing. I wanted to inform you that it’s not displaying properly on the BlackBerry Browser (I have a Storm). Anyway, I’m now on the RSS feed on my PC, so thank you! Root beer at a place that has the ‘good kind’ of ice–the sort that slushy. Usually a pizza parlor. Or a just before freezing point beer. awesome! Hi again, I commented about one year ago telling you that I couldn’t read your articles correctly. I am not sure if you altered your blog but I can now read it properly, awesome. I’m using a BB Storm. I learned when I was very young, what the “coc” stood for. The man I married was addicted. I couldn’t beat him so I tried to join him, and was literally sick for 3 days! However: ice in my lemonade, ahhhhhhh scrump-dilly-iscious! Oh, that didn’t sound so good! I did mean the coca-cola, okay!!! I’m more of a Pepsi person, but this is awesome.